A new car loses approximately 20% of its value when it is driven off the showroom forecourt, and cars lose between 15 – 20% of their value each year, however, different makes, models and even colours will all hold (and lose) their value differently. Depreciation is the difference between what you paid for a car and the amount you can get back when you sell or trade it in. It is often ignored or forgotten about when people are purchasing a car, but for car owners who like to change their car regularly the financial effect can be significant. When 2000 UK drivers were asked about depreciation in an Opinium survey*, commissioned by InsuretheGap.com, an independent provider of GAP (Guaranteed Asset Protection) car insurance, almost a third (31%) said they did not consider depreciation when buying a car, despite having a full understanding of it; and over one in 10 drivers (14%) said all cars depreciate at the same rate, rising to one in five (20%) under 34s. A study by InsuretheGap into how the top ten best-selling petrol cars in 2017 held their value from new in 2013 to 2018, found that, over the five-year period, all the featured cars had lost almost half their original value with the Mini Cooper depreciating the least, by 49%, and the Ford Fiesta the most, by 65%. Please see the full results table here. 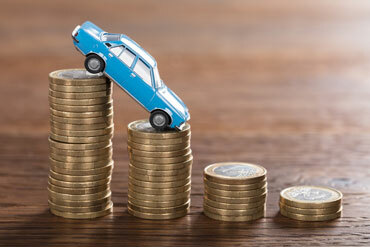 “All cars depreciate in value over time, but picking whether your new car will drop like a stone, or hold more of its value as it ages is a useful factor to take into account during the buying process,” said Ben Wooltorton, Chief Operating Officer at InsuretheGap.com. “Depreciating factors that affect the value of a vehicle regardless of its make and model include things like mileage, number of previous owners, service history, general condition and colour, whereas reliability, safety, and reputation tend to apply to specific makes or manufacturers and typically do not change over the course of ownership,” he said. 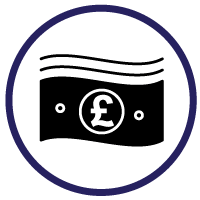 Depreciation can also affect the amount of money that car owners can claim from their insurance company in the event that their car is written off or stolen. 44% of under 34s, when asked by Opinium, did not know that if a car is written off, or stolen, 18 months after purchase, the insurance company, even with a fully comprehensive insurance policy, will pay out only the car’s current market value amount and not the price the car was bought for. 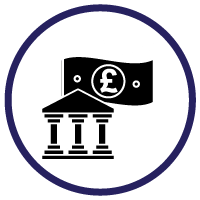 GAP (Guaranteed Asset Protection) insurance can help bridge the gap between what you paid for a car and the amount you receive from your insurer if you make a claim, in the event your vehicle is written off or stolen. 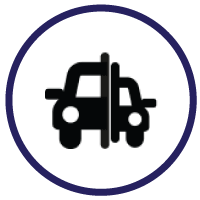 A GAP insurance policy from a specialist insurance provider, like InsuretheGap.com, starts from just £54.55** and is significantly cheaper than those offered by car dealerships. Cover is available for vehicles worth up to £150,000, covering gaps up to £50,000. In addition to a car’s age, where the years of one, three and eight often signify sharp price drops, there are a number of factors that determine a car’s depreciation rate - some apply to all vehicles based on how they have been used and others are due to the specific characteristics of a particular make and model. Mileage – the average mileage is around 10,000 per year. The more miles, the less your car is worth. Owners – the more owners a car has, the less it will be worth. 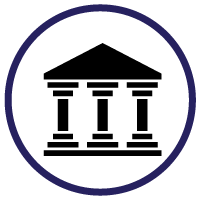 Service history & general condition – a full service history from a manufacturer, approved garage or dealership helps to maintain a car’s value. The upkeep and maintenance of a car will also help retain its value, as dents and scratches can seriously affect its resale price. Colour - the best colour for holding value is white, followed closely by black, and the worst colours are green, maroon and turquoise. Desirability – if the vehicle is in high demand or is rare, the more residual value it will hold. If you are lucky enough to purchase a car that is on trend it will suffer much less depreciation. Similarly, if there is very little demand for your car then you can expect its value to drop dramatically. Economy – cars with good fuel economy are more desirable, and therefore tend to hold their value better. Vehicle tax – buyers looking to run their vehicle on a budget may be put off by high vehicle tax. Warranty Length – vehicles with a long manufacturer’s warranty attract a higher resale value. Size - bigger cars tend to depreciate more quickly due to higher running costs.